A huge reconstruction project continues to keep construction crews busy and lanes closed at the Jane Byrne Interchange Sunday. 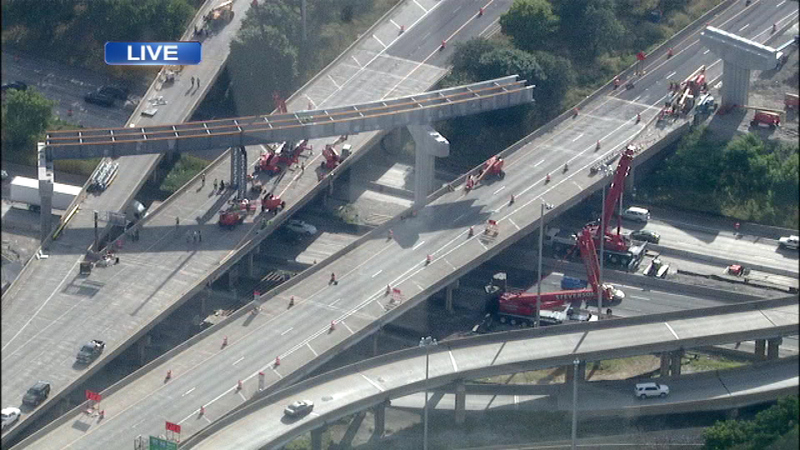 CHICAGO (WLS) -- A huge reconstruction project continues to keep construction crews busy and lanes closed at the Jane Byrne Interchange Sunday. Both the inbound and outbound Eisenhower Expressway remain closed to Congress Parkway at the interchange. Those lanes will re-open for Monday morning's commute. More work will take place over four weekends. The project is scheduled to be complete by the middle of October. For a list of lane closures and a live stream of the construction, visit http://www.circleinterchange.org/.